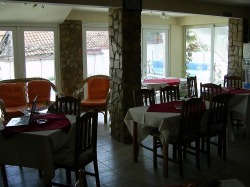 The Restaurant and Bar is family run. All the meals freshly cooked at a very reasonable price. We also do a fantastic Sunday Roast which is highly recommended.The kitchen serves a full English menu which consists of all the traditional English foods. 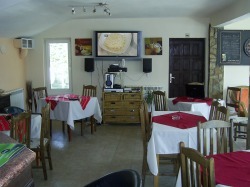 The bar is well stocked with draught beer and also 4 different Bulgarian bottled beers. Many different spirits Bulgarian and also English. Every Saturday we have a different theme night suitable for all ages and nationalities followed by karaoke, which is enjoyed by everyone.